We are proud to present the first episode of the RAMAR real X-files: The great pyramid of Giza. We present facts about the great pyramid of Giza which are not well known in the public. Let’s discover the mysterious facts! This entry was posted in Uncategorized on 12/11/2018 by Vaishnava. This entry was posted in Space, UFOs, Uncategorized and tagged Civilization, Extraterrestrial, Fast Radio Bursts, Light Sails on 01/12/2017 by Sven. 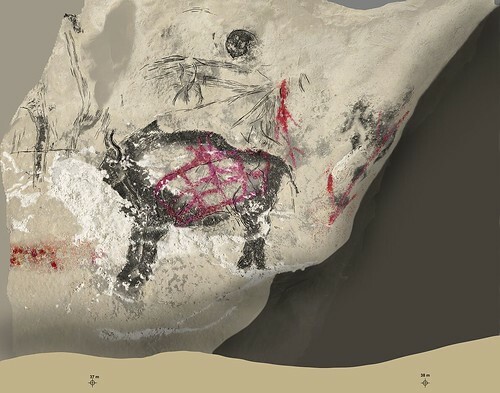 UNIVERSITY OF ADELAIDE—Ancient DNA research has revealed that Ice Age cave artists recorded a previously unknown hybrid species of bison and cattle in great detail on cave walls more than 15,000 years ago. This entry was posted in Artefacts, Phenomenons, Uncategorized and tagged Caveart, DNA, Genetics, Hybrid, Ice Age, New Species, Rockart on 10/24/2016 by Sven. This entry was posted in Space, Uncategorized and tagged Alien, Fermi Paradox, NASA, Robots, von Neumann probe on 10/10/2016 by Sven. This entry was posted in Space, Uncategorized on 10/10/2016 by Sven. This entry was posted in Artefacts, Sites, Uncategorized and tagged Australia, Gwion, Indigenous, Kimberley Region, Rockart on 10/05/2016 by Sven. This entry was posted in Space, Uncategorized and tagged Alien, Europa, Extraterrestrial, Hubble Space Telescope, Ice, Jupiter, Moon, NASA, Ocean, Solar System, Water, Water Vapor Plumes on 09/27/2016 by Sven. Tourists deliberately destroying El Candelabro in Paracas. Please support our Cause to protect ancient archeological Sites for the Future. You can find more Information about this Project on our Website in the Crowdfunding-Area. This entry was posted in Uncategorized and tagged Damage, El Candelabro, Paracas, Peru, Tourists on 08/05/2016 by Sven.